Dec 4, 2015 was the worst day of my perfect life. I was diagnosed with Breast Cancer at the young age of 39. "How could this happen to me?" I couldn’t help but wonder. I had it all- a great childhood with loving and supportive parents. I married my best friend and had a loving 3 year old (now 6 year old) daughter. I had a fulfilling 18-year career at JPMorgan Chase and became a real estate investor at a very young age. I didn't know what bad luck or hard times were because I never experienced either. Life was perfect. I was also the person who thoughtfully mapped out each and every move in my life in order to get whatever I want. Getting sick did not fit my plan! My world crashed even further a few weeks later when I learned that the cancer had metastasized to my bones. This was called Metastatic (or Stage IV) Breast Cancer and the average life expectancy was only 2-3 years. I spent weeks confused and distraught. After all, things like this aren't supposed to happen to people like me, right? Finally my husband said something to me that really hit home. "People die tragically and unexpectedly every day. You didn’t. God has given you a chance. You can do whatever you want with that chance." Those words snapped me out of disarray and got me focused on next steps. I chose chemotherapy, although not the textbook treatment for Stage IV. I was young and wanted to be as aggressive as possible and knew I could handle it. So here I was, ready to plan again, except this time it was a plan of attack! Chemotherapy shrunk my main tumor in half and prepared me for surgery which would be in December of 2016. There was no cancer showing on my bones. Although I knew it was still in my bloodstream, no evidence of it was a huge reason for me to celebrate, at least temporarily. My hope was that the hormone therapy would help me keep the disease at bay for many years to come. If it didn't, I only had a handful of options which is why I needed another plan. I decided to use my leadership and planning skills to fund raise for Stage 4 research for meds. Every birthday is a milestone for Stage IV'ers. I decided to use my birthday, May 23rd, so I and other metastatic patients could have more birthdays. I named the event "MetaBash." I chose METAvivor as the organization to raise money for as they are the only national organization that exclusively supports Stage 4 research that benefits patients living with metastatic breast cancer. METAVivor holds a peer-reviewed grant process that is transparent on their website. 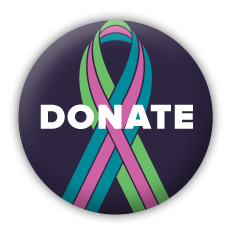 100% of every donation made to METAvivor goes directly to research. And research is the ONLY thing that will keep us alive. Stage 4 research is underfunded. If more isn't done, the stats won’t get better. MetaBash 2017 brought in 120 people and over $30,000. 150 attended MetaBash 2018 and we raised over 57K which resulted in a Young Investigator grant names after us. What a huge accomplishment thanks to those who attended and/or donated! After a year on hormone therapy, I did a scan in June 2017 that showed the return of the cancer on my bones. There it was, my worst nightmare- My medicine stopped working. I had to switch drugs; however my options were limited. Fortunately the new meds are working for me today; but not a day goes by that I wonder when they won’t anymore. Where is all the money poured in Breast Cancer going and why isn't it spent on research for meds is the question I and others with Stage IV can't stop asking. And now, MetaBash is even more important to me for this reason. Our goal this year is $75,000 which will again fun a grant that is given to an up-and-coming researcher to explore new ideas for the treatment. Come to MetaBash. You'll be learning about Stage IV Breast Cancer, networking and making a difference. There will be food, drinks, raffles and even a take home bag filled with organic and natural goodies that I believe in. If you can't make it, please donate. This is a cause where you finally know exactly where your money is going. And if Breast Cancer touches you or anyone in your family, you’ll want there to be options for them to live past the short life expectancy. Dress to Impress! Wear METAvivor colors Green, Teal or Pink to get a gift bag! Includes recognition of your company on the website & at the event, your business card for every guest and 2 tickets to the event. Includes recognition of your company at the event, your business card for every guest, and 2 tickets to the event. Add your company name for recognition here.